Mechanisms for weight regain after gastric bypass are not fully understood and the process is likely multifactorial. The initial step in the management of weight regain is a comprehensive evaluation of contributing factors. While lifestyle modification is fundamental, it has limited efficacy which can be enhanced by medications and/or endoscopic revision. 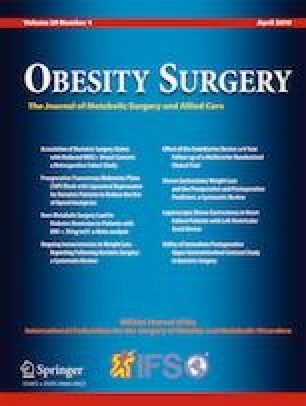 Anatomic changes such as larger pouch size and dilation of the gastrojejunal anastomosis (GJA) may contribute to increased postoperative weight gain. Endoluminal revisions offer an effective and less invasive management strategy for this population. A 55-year-old female with history of RYGB in 2006 presented with weight regain. She was referred to our unit for endoscopic evaluation. During endoscopy, a large GJA (25 mm in diameter) was diagnosed. A novel trans-oral outlet reduction (TORe) was then performed. A modified ESD was first performed on the GJA, followed by argon plasma coagulation of the margins of the ESD. Then a purse-string TORe with suturing was performed, using a 10 mm balloon to size the GJA. On 6-month follow-up, patient lost 20 lb. and 12.26 %TBWL and EGD showed a 10 mm diameter GJA. On 1-year follow-up, patient weight loss was 14 lb. and 8.58 %TBWL. The follow-up endoscopy showed a 12 mm diameter GJA. Endoluminal therapies are safe, reproducible, and effective in the treatment of weight regain and should be utilized as a first-line approach to manage this condition. This novel-combined approach is feasible and may be more effective in the treatment of weight regain. The online version of this article ( https://doi.org/10.1007/s11695-019-03808-5) contains supplementary material, which is available to authorized users. Authors 1 and 2 have no conflict of interest. Author 3 reports fees as a consultant for Boston Scientific, USGI Medical, Olympus, and Apollo Endosurgery.